How many black UK podcasts hosts are there? I was having a chat with someone (don’t have his card to hand) during a event in Salford University. We were talking about the perceptive podcasts application and podcasting industry in general. I was talking about how podcasting is/should/could be a different medium. There is still the opportunity to do new and interesting things with the format which suit/challenge the audience. “What we need is more diversity and new voices; not just in front of the microphone but as producers.“I power-phrase him saying. Question: How many UK podcasts are hosted and run by Black people from the UK? But theres got to be many more right? #blacktwitter? There seems to be a few recommended from Reni here, but I haven’t heard them yet. Then I found, podcasts in color which lists podcasts from people of colour (because actually its not about just one race). Its hard to work out which ones are UK but I found these. There are many more but they don’t seem to be updated recently. 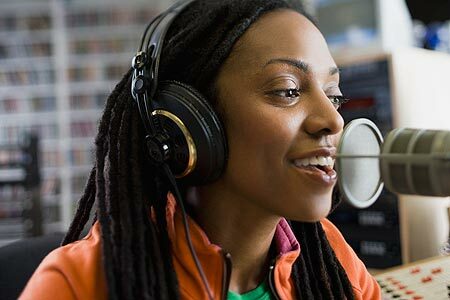 So the short answer is yes there are UK black podcasts but not as many as I would have liked. I’m planning to go back through this list and resources to find new podcasts to subscribe to. Interestingly James from podcast news pointed me at a piece of news about diversity in podcasts. Dane Cardiel from Simplecast is “working closely with Dan and Jared on an initiative collecting input from podcasters of colour for the 2nd Annual Podcasters of Colour Networking Event at Podcast Movement 2019.” If you’re a podcaster of colour interested in participating in discussions later this month, here’s a form to fill in. I missed my chance but good to know others are thinking about similar things. Author IanforresterPosted on April 9, 2019 April 9, 2019 Categories media-and-expressionTags #podin, audio, peopleofcolour, perceptivepodcasting, perceptivepodcsts, podcast, podcasts, ukLeave a comment on How many black UK podcasts hosts are there?